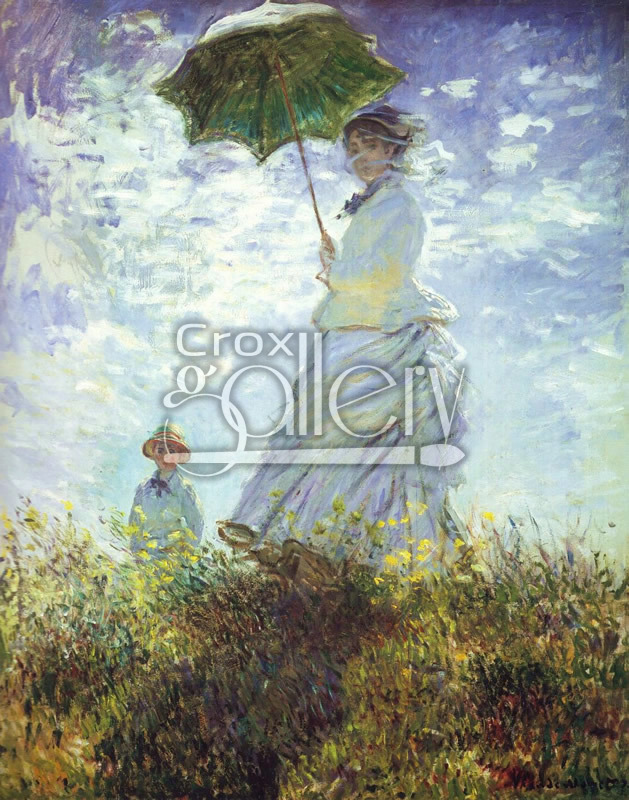 "The Stroll" by Monet, Impressionist Painting on Canvas. 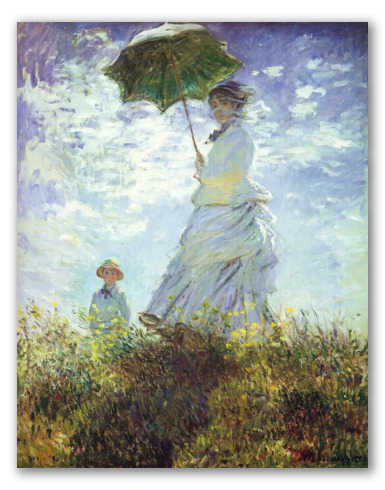 This is probably the most memorable portrait of a woman painted by Claude Monet. The work was painted in the city of Promenade in 1871. In the painting, one can see a main female figure with a child by her side. This painting is currently on exhibit at the National Gallery in Washington.